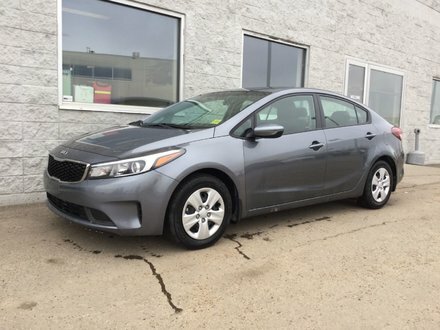 This FULLY LOADED 2017 KIA FORTE SX has just arrived; LEATHER, HEATED/COOLED front seats, HEATED steering wheel, HEATED rear seats, SUNROOF, APPLE CarPlay/ANDOID AUTO, TOUCHSCREEN W/BACK-UP CAMERA, BLINDSPOT DETECTION, LANE DEPARTURE, CRUISE, air conditoning, POWER windows, POWER locks, PUSH BUTTON start, KEYLESS entry, 18" alloy wheels and much more! 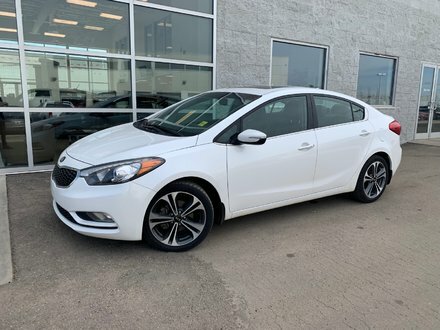 This BRAND NEW PREMIUM LUXURY SPORTY compact sedan will save you THOUSDANDS $$$ and still has FACTORY WARRANTY (5yr/100,000KM). KIA ranked #1 in initial quality by JD POWER, 4 YEARS in a row!!! 2.0 L GDI 4 Cylinder - 4 cyl.